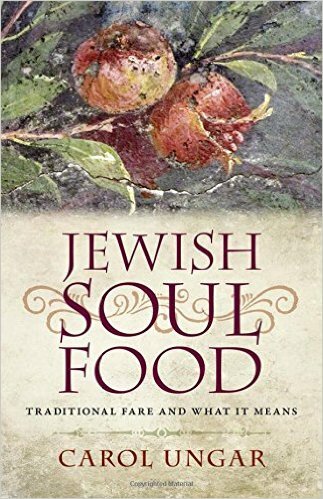 I recently received two different books on similar themes of cooking and eating with Jewish spiritual mindfulness. While recording interviews with these two authors didn't fit into my plans, I did think you'd be interested in learning more about these titles. 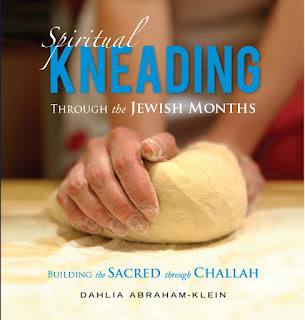 Dahlia says, "Long before I was conducting Rosh Chodesh groups in my home, I was introduced to challah baking by my friend, Brenda. She invited me to her home on a Thursday night to participate in a Segula Challah bake. It was my very first time baking challah. It was touching, I thought, that Brenda and I were part of the forty women from around the community, baking in our own homes — all connecting to a shared intention. There was something very holy and meditative about the whole process. In a sense, I felt like I was part of the pulse of the Jewish heartbeat. The next day, I adorned my Shabbat table with these fresh, homemade challahs, covered with a very colorful African-inspired challah cover — an ode to my South African husband’s roots. My husband, Mervin, oohed and aahed with every bite. His appreciation, combined with the experience of the segulah challah bake, inspired me to begin trying to bake challah for Shabbat regularly. At that time, I was also participating in a women’s meditation group, which is where I met a brilliant Torah scholar, Jocelyn. It was during one of our discussions that Jocelyn told me that gatherings of women were an inherent part of Judaism. She told me about Rosh Chodesh and how it was a woman’s holiday, and that was when my idea of creating a Rosh Chodesh Challah Baking group came to me. When I shared my idea with Jocelyn, she excitedly pointed me to numerous Torah references on challah. I discovered that there is even an entire tractate in the Mishna called Challah. Through serious study, I found ways to connect baking challah with a relevant theme of each Jewish month." Carol says, "With so many who don't have Moms or bubbies to hand down recipes, I decided to fill in; my book is a surrogate bubbie. I'm a bubbie myself but I'm bubbieless--both my father's and mother's mothers were killed in Auschwitz. 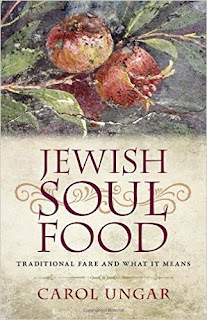 I organized Jewish Soul Food around Jewish time, Shabbat and the holidays and each recipe is accompanied by mini essay explaining it's meaning and/ or connection to the holidays.There are drawings with instructions and 26 specially shaped challahs you can bake all through the year."